Last October, Mayor London Breed pledged to offer thousands of San Francisco high school students paid summer internships through her “Opportunities for All” initiative. Some of the program’s biggest enthusiasts and supporters are local tech companies, including the likes of sf.citi members Airbnb, Alaska Airlines, Postmates, and Uber, to name a few. This is isn’t the first time the tech community has stepped up to the plate of grooming the next generation of San Franciscans for the future. While their cutting-edge software around transportation, CRM, and cyber security, tends to steal the headlines, local tech workers have, for years, brought that same spirit of innovation to San Francisco public schools. In fact, the success of sf.citi’s two foundational corporate social responsibility programs, Circle the Schools and Future Grads, leaves us optimistic about tech’s role in Mayor Breed’s Opportunities for All initiative. Let’s take a closer look at one of those programs. 49 San Francisco Public Schools have been circled by 65 corporations. 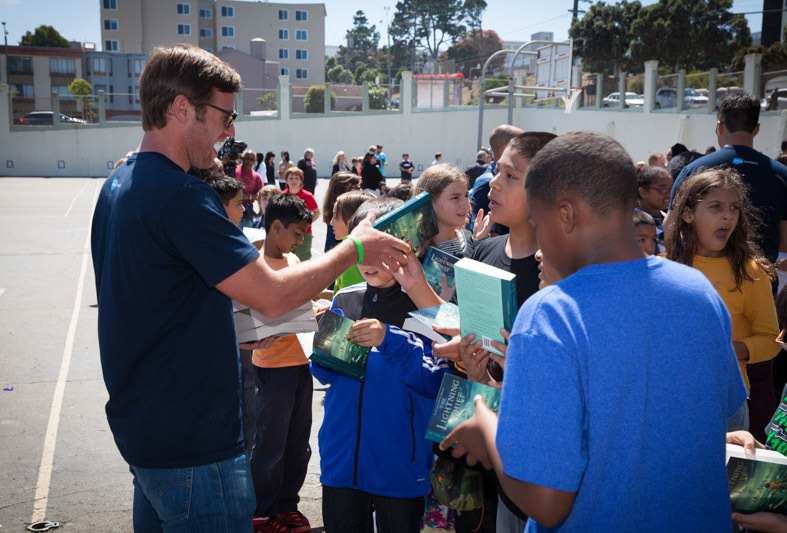 More than 4,000 corporate volunteers provided over 20,000 hours of their time supporting San Francisco public schools. Corporate partners and their employees donated more than $800,000 in funding and in-kind resources. Public school students learn about technology careers and envision themselves thriving in the digital economy in San Francisco and beyond. The San Francisco Education Fund has been running Circle the Schools with sf.citi since its inception and has watched partnerships between tech companies and San Francisco schools inspire real change in the lives of students. Gina Fromer, CEO of the San Francisco Education Fund, describes the impact of one of the program’s most engaged corporate partners and sf.citi members, Salesforce, which has adopted 22 schools all over the city. Salesforce volunteers give back to the community through partnerships that provide much-needed support for our public schools. 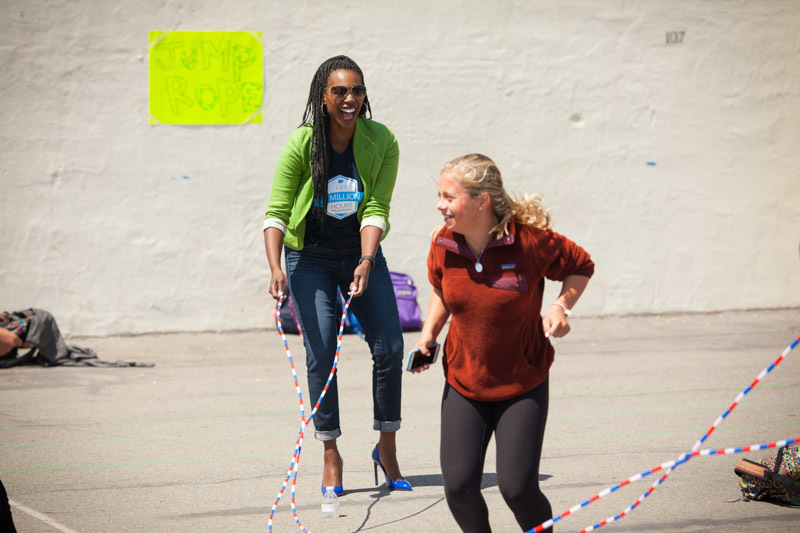 Salesforce believes every student deserves a quality education. By introducing public school students to careers in technology, Salesforce helps kids in San Francisco imagine a future working in tech. Salesforce is circling 22 schools this year, which will positively influence thousands of students across San Francisco. We look forward to continuing this valuable partnership! San Francisco’s political leaders have also recognized the value of Circle the Schools. Newly elected District 10 Supervisor and former San Francisco School Board President Shamann Walton has been a longtime advocate for greater overlap between the city’s tech and education ecosystems. Settling into his term on the Board of Supervisors, Supervisor Walton is calling on more companies to partner with schools throughout the city. I think if our tech companies provide opportunity in middle school and high school and put themselves in positions to raise some of our workforce, it would put tech in a better light and also help build their own workforce. Providing financial support for our schools that enhance the education needs of each school is a major component. Circle the Schools is one way to do that, and I would like to see more companies adopt schools in all parts of the city. Technology continues to render San Francisco closer to our childhood dreams of the future, bringing with it a huge number of conveniences and changes. We are proud to see many sf.citi members prepare the city’s young people for the evolving work world through programs like Opportunities for All and Circle the Schools.